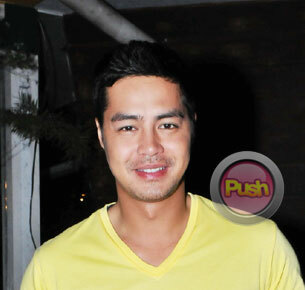 Zanjoe Marudo says that rather than competing with each other, he and girlfriend Bea Alonzo support each other instead. Zanjoe Marudo echoed girlfriend Bea Alonzo’s statement in a previous interview that in their relationship, it is non-issue as to who is the bigger star. At the press conference of the upcoming late-night gag show Banana Nite which premieres Monday, February 25, Zanjoe explained that this subject does not trouble them. “Kasi naman magiging problema pa ‘yun kung kami mismo nag-compete kami, eh; kung sino’ng mas magaling, sino’ng mas sikat, sino’ng mas maraming project,” Zanjoe reasoned. “Dapat maging masaya kami sa isa’t-isa, suportahan [ang career ng bawat isa]. The couple who have been together for more than a year celebrated a simple yet romantic Valentine’s Day. The actor said that he gave Bea flowers and just had a romantic dinner at Bea’s house. Zanjoe said that they hired someone to play the baby grand piano while they were having dinner.